We were called to finish the construction of the pipeline and testing due to the previous contractors business failing. Works included installation of 17km of 1200m welded steel pipe, 1200mm valves and fittings, live connections, repairs and realignments of existing pipe, testing and chlorination, full reinstatements of pipeline up to 5m deep. Ground conditions varied from clay to running sand so temporary works were the main priority to get designed in front of works progressing. 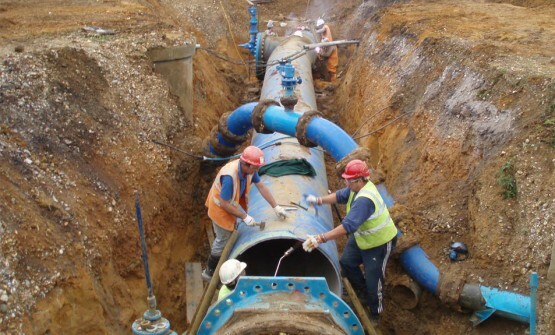 Where large sections of the pipeline had previously been laid by the other contractor, a lot of the alignment of the pipe was so bad that V.J couplings could not stand the lateral pressure imposed on them. It was decided to remove all V.J couplings and to fit solid weld bands to hold the line in place and to mitigate any further leaks. 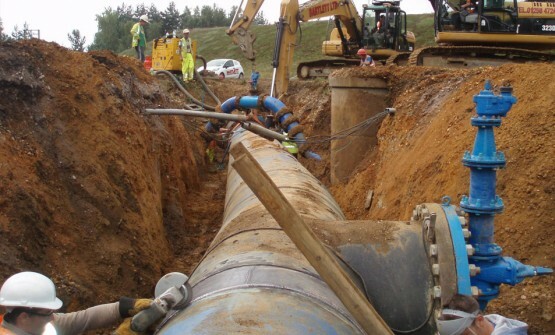 Large valve complexes and flow metres had to be fitted along the route of the pipeline which included civils works for building large concrete chambers and pipe supports. 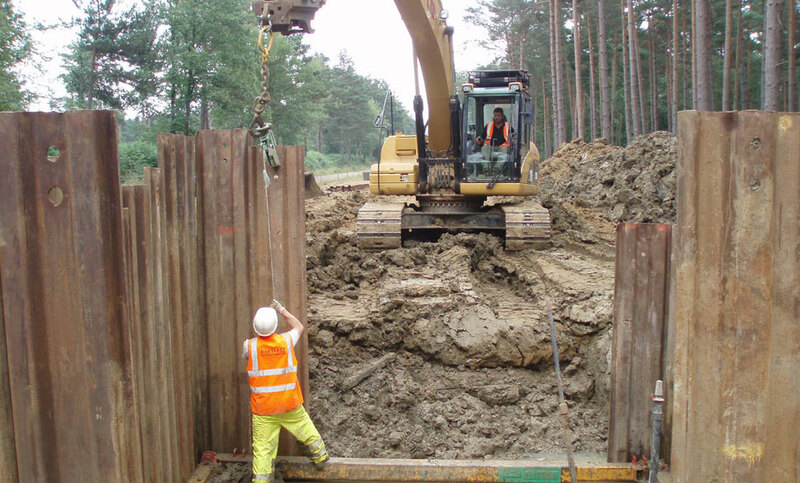 A total of 15 groundworkers/pipelayers worked on site alongside 7 x excavators, our experienced project manager, site foreman and site supervisors. We did the testing of the pipeline in house due to the huge amount of leaks left by the previous contractor. Employing a testing contractor was not cost effective. Sections of the pipeline crossed public roads and therefore streetworks and temporary traffic lights were put in place by trained employees. Where sections of the pipeline had failed on road crossings, the carriageway was excavated, temporary works installed, repair implemented and full carriageway reinstatement undertaken and inspected by local authorities. 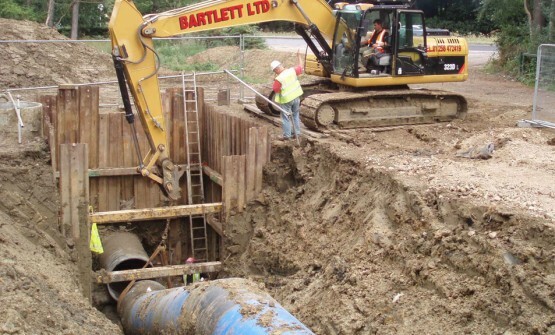 The contract was a reactive situation due to the failing of the previous contractor leaving works unfinished and backfilled leading to a lot of leaks and broken apparatus.